Hurtta makes you enjoy the outdoors with your furry friend! The inventors of Hurtta come from Finland, all the way north. As true adventurers they defy, together with their faithful four-legged friends, the rugged Finnish landscapes and the accompanying cold climate. 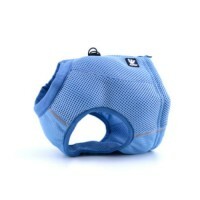 This quickly led to the need to develop protective clothing for active dogs. Hurtta is now a true pet clothing specialist, producing high-quality equipment for active dogs worldwide. Hurtta develops products for active dogs, who want to go off the beaten track with their owners, regardless of the weather. Hurtta believes that the key to a better life is an active life, and that this applies to both the dog and the owner. While you create an active and varied outdoor life for your dog, Hurtta makes your life as a pet owner easier and more fun. 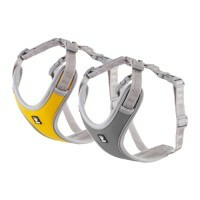 For long walks and other activities, the Hurtta Active Harness is perfectly suited. 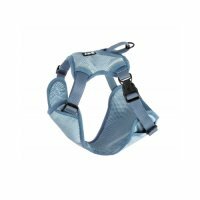 This comfortable harness distributes the pressure on your dog’s back and provides you more control over your dog. The reflective stripes provide added visibility in the dark and dusk. From Chihuahua to Great Dane: Hurtta has it! Did you know that Hurtta makes dog equipment for all dogs, from Chihuahua to Great Danes? It is important that all products function in a way that promotes the health and well-being of your dog. Every Hurtta product is tested in cooperation with dogs. 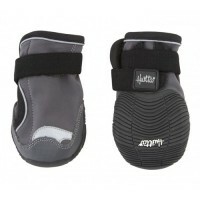 This way you can be sure that wearing a Hurtta items is safe and comfortable for your dog. Do you prefer to go off the beaten track together with your four-legged friend? Good equipment is a must for both you and your dog. In cold weather, go for the Hurtta Extreme Warmer. This tough winter coat offers your dog extra warmth and protection in cold weather conditions. 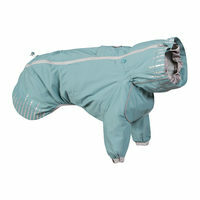 The inner lining of the jacket reflects the body heat of your dog and keeps him nice and warm. The outside of the jacket has a waterproof coating and a high hoody, which can protect the ears if necessary. Did you know that four-legged friends also benefit from the right equipment in summer? Hot summer days require cooling. Dogs do not sweat like humans. It is therefore important that dogs can lose their heat in a different way. The Hurtta Cooling Vest uses water cooling. Soak the vest in water, wring it out and place it on your dog. 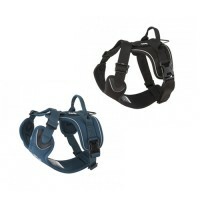 If you prefer a Hurtta harness with additional cooling, then have a look at Hurtta Cooling Harness. 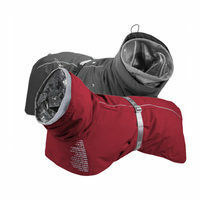 This equipment has an additional pocket with a flexible water bag inside, which offers extra cooling. If your dog loves water, then you’re at the right place for your dog’s clothing. 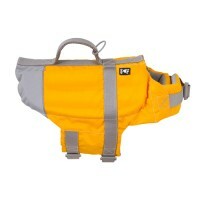 Hurtta’s life jackets are specially designed for swimming and sailing. 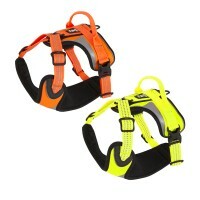 The harness is designed in a way that your dog remains its movement freedom and is able to swim wherever he wants. Furthermore, thanks to its bright colours, your dog will be clearly visible on land as in the water.